Be the first to share your favorite memory, photo or story of Melster. This memorial page is dedicated for family, friends and future generations to celebrate the life of their loved one. 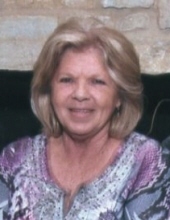 Melster Belcher age 73 of Pikeville, Kentucky passed away Tuesday, January 29, 2019 at her home. She was a homemaker and a member of the Jubilee Christian Assembly Church. Melster was born in Pikeville, Kentucky on May 10, 1945 the daughter of the late Wade Langley Collins and Marie Syck Collins. Along with her parents, she was preceded in death by two sisters, Mildred Binnix and Polka Jo Ferrell. She is survived by her husband, Jack Belcher and one son, Gabriel Joseph Belcher. She is also survived by five brothers, Jack Collins of Hurricane Creek, Bruce Collins of Huddy and Gary Collins, Randy Collins and Paul Collins all of Pikeville and one sister, Justine Collins of Pikeville. To send flowers or a remembrance gift to the family of Melster Belcher, please visit our Tribute Store. With Randy Damron officiating. Special singing by Bella Jacobson. "Email Address" would like to share the life celebration of Melster Belcher. Click on the "link" to go to share a favorite memory or leave a condolence message for the family.